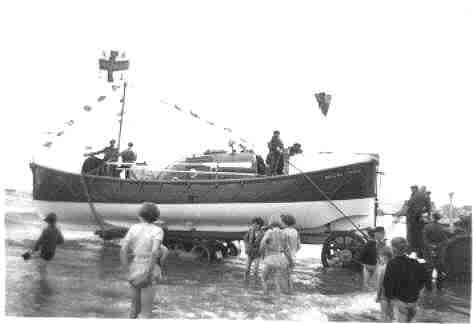 A massive increase in leisure boating during the 1950s and ’60s, caused a corresponding increase in the number of calls made on lifeboats. 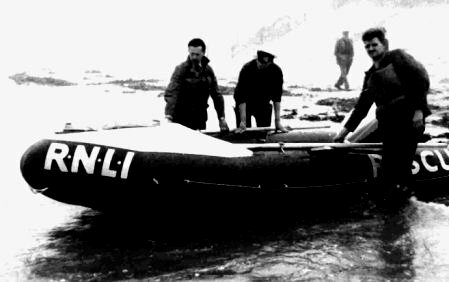 It was obvious that a new type of lifeboat was needed, smaller and faster than the conventional type, yet still able to operate in relatively rough conditions. 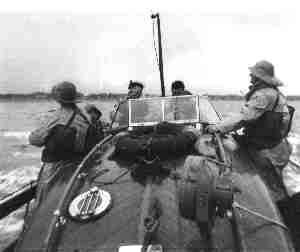 The answer was found in an inflatable boat of about l6ft., powered by an outboard motor, and capable of speeds up to 28 knots. 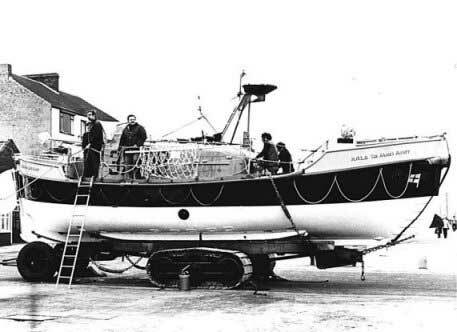 In 1963 Redcar received one of the first of these inshore rescue boats for evaluation trails. At that time the protective clothing was the same as that for the off-shore boat crew. That meant that even on the calmest of days the entire service call had to be endured wearing a pair of thigh length waders full of sea water and clothing which became saturated within minutes. 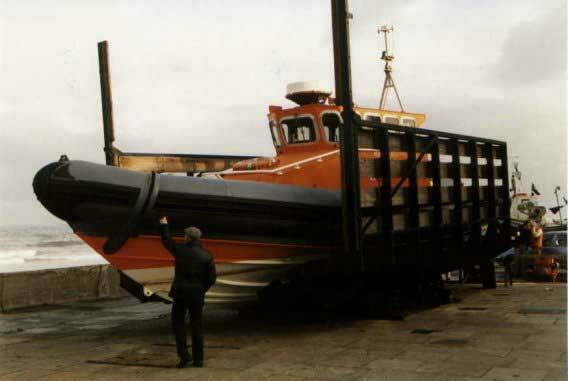 During a brief period with an Oakley from the reserve fleet, Redcar was chosen to help evaluate the prototype semi-rigid Medina class lifeboat. Powered by twin 350hp Caterpillar engines the Medina was capable of 28 knots using “jet” drives delivering a tonne of water per second to the nozzles at the rear of the boat. 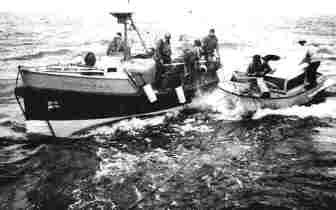 Sadly nothing was to become of this type of lifeboat although variants can be seen operating on the continent. On the 11th November 1985 members of the R.N.L.I.’s Search and Rescue Committee visited the Redcar station to break the news that early in 1986 Redcar was to receive an Atlantic 21, ending a 184 year history of “big boats”. The news was met with dismay by some of the crew and with anticipation of a new challenge by others. Redcar became an “Atlantic 21” station on Sunday 22nd March 1986. 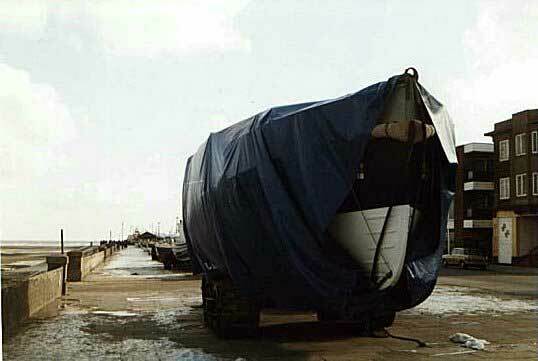 The Sir James Knott unceremoniously left Redcar on the back of a heavy truck the following day.